Very tasty doughnuts. Full-flavored, fragrant. The true Christmas delight. 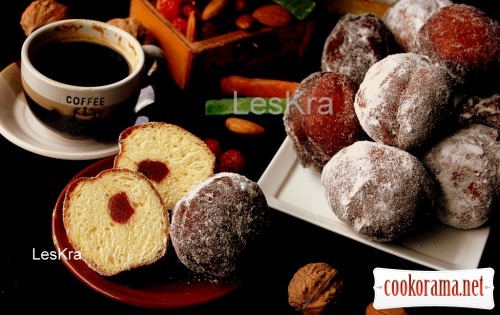 Need some spendings, but the taste… I guarantee, you`d never tried such tasty donuts. The morning with a cup of freshly brewed bitter coffee for Christmas — it is something unforgettable! Mix yeast with sugar. 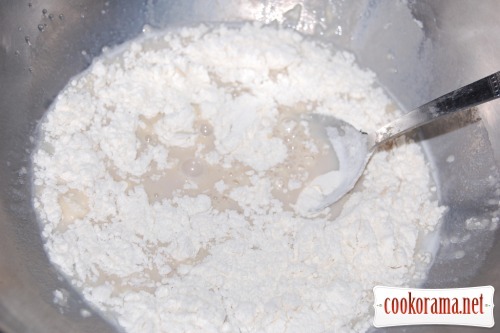 Add warm milk and 5 tbsp of flour, put in a warm place for 15-20 min, to get a good «cap». 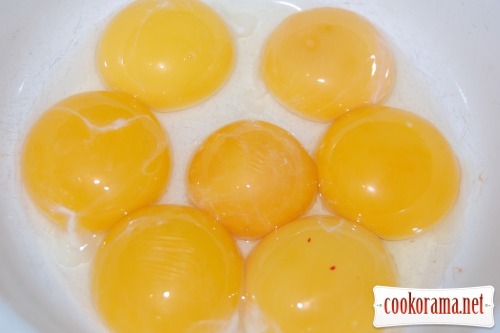 Separate whites from yolks. 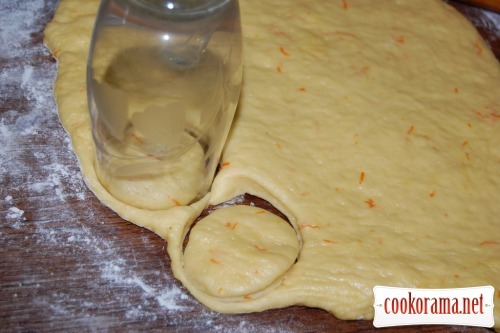 We`ll add yolks in dough and whites for tasty baking. 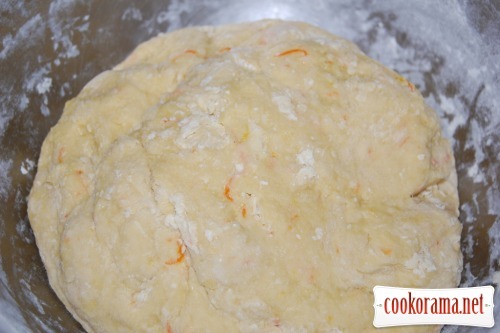 Add zest to the dough, salt, vanilla sugar, sifted flour and knead the soft, gentle dough. 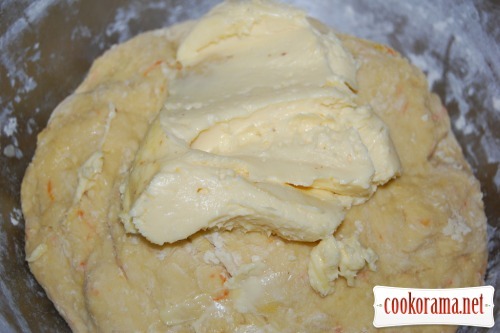 Add very soft butter and mix till dough become smooth and soft. Form a ball, put in a powdered with flour bowl and put in the fridge for a night. The next day roll dough at 1 сm thick. On the half of the layer mark circles with a glass. In a middle of marked circles put 1 teaspoon of filling (rose and apricot jam). Cover with the other part of layer and cut off the circles with a glass. Put them in a warm place to rise, for 30 min, and bake from both sides in oil till readiness. Oil should be not very hot, because donuts will be burnt on the top, and remain raw inside. 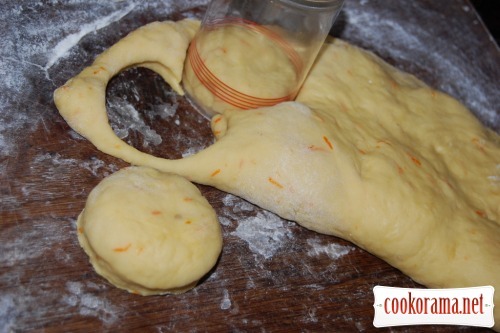 The other variant — is to roll the dough at 2 сm thick, cut off circles with a glass, put in a warm place for 30 min and bake in oil till readiness. Fill chilled doughnuts using a syringe with a long «nose». Spread ready doughnuts on plate with blotting paper, to absorb some extra fat. 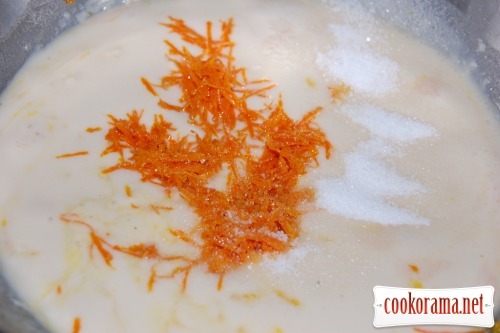 Sprinkle with sugar powder. 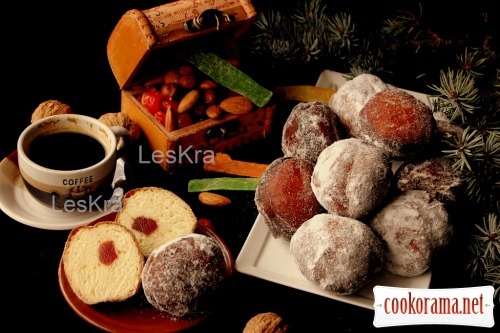 Top of recipe "Lordly doughnuts"
Уже відчуваю їх неперевершенний смак! Ет точно, пампухи знатні ( хто б пригостив )? Дяки, люба, за запрошення (нарешті )! але все, я вже в дома, на «гулялася», буду знову по нету насолоджуватися твоїми творіннями! Жахливе тісто.1 кг муки і забита маса.шкода продукти перевела.Завтра буду робити по старому рецепту. У рецепті чітко вказано «замісити мяке ніжне тісто», а не забиту масу. Кількість борошна у пампухах, як і дріжджовій випічці завжди вказана умовно, бо якість і вологість борошна у різних виробників дуже різниться.